As I made these Zo asked me when I started making rum balls. You know what? I have no clue! I remember my earliest encounter with them was in a bakery with my father. I remember seeing them on the shelf and saying, "Doughnut holes are good!" My father told me they were rum balls and he really loved them. He bought us both one and I remember my young taste-buds telling me it tasted hot and I did not like it. Years down the road in my early teens I remember one of my great grandmothers making them and trying them once more. This time I really enjoyed the flavor of the rum balls as well as the Bourbon balls she'd made. Now in my preteens I kind of felt I was doing something wrong eating what Zo lovingly refers to as, "Booze balls." Of course since it felt wrong I loved doing it! I started making my own rum balls around this time after helping my father make cooked and uncooked ones. I did not start experimenting with them until years later in my early 20's when i could legally purchase the alcohol needed for them. I have made many different versions of them and you will see all six of them soon enough of Cooking for Zo. These are tied as my favorites. They were inspired by my love of Pina Coladas and Lemon bars. Enjoy! In a medium mixing bowl crush Nilla wafers either with a potato masher or by pulsing them in a food processor. Using a fork slowly mix in rum until Nilla wafers are evenly moist. Now mix in Lemon Zest until even. In a small sauce pan heat white chocolate over low heat until chips have melted, about 5-7 minutes. Whisk in heavy cream until smooth and then pour over Nilla mixture. By hand knead mixture in bowl until mixed well. Separate mixture into 12 even sized balls. Spread shredded unsweetened coconut around in a small bowl. 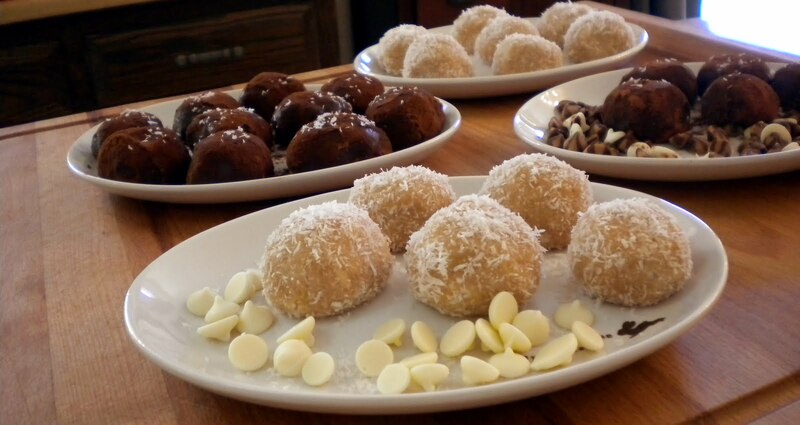 Roll balls one at a time in hands until smooth and then roll each one in the coconut until mostly coated. Place balls as you finish them onto a nonstick cookie sheet. Once all of the balls are finished cover them with plastic wrap and freeze or chill in fridge until hardened (30-45 minutes.) Once hardened enjoy!